Chicken. Broccoli. Rice. Water. More water. Occasionally a Crystal Light packet. Working out. Long bouts of cardio. Lack of attention. Being tired. Being told you are stupid, or boring, or too skinny, or that your food looks gross. Fish. Veggies. These are words, phrases, and nuances you will hear when on a bodybuilding prep diet. This is the extreme side of dieting. Here in Idaho Falls, and amongst those that I work with at The Group Real Estate, there are very few people who have gone this route. After years of preparation, in learning my body, learning how to eat, when to eat, what to eat, how to workout, when to workout, when to do cardio, when not to do cardio, yadda yadda. 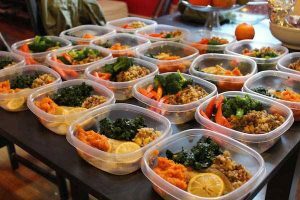 The bodybuilding prep diet isn’t something that is “the norm.” Due to this, and poor marketing on the fitness side of the world, there can be some very negative connotations. First the marketing. How many of us watch a comic book movie and see how “ripped” and awesome the heroes look, or we look at the newest issue of Men’s Health on the magazine rack and we wonder how we can accomplish that. 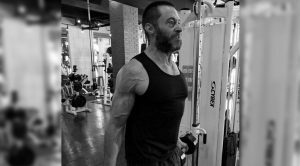 So we open the book and it shows us exactly how “Hugh Jackman got ripped for Wolverine” by doing a certain workout, drinking down creatine and beta alanine, and intermittent fasting. So, what happens, is we then decide to do “Hugh’s workout,” taking the supplements and we start intermittent fasting. 6 months later when don’t look like Wolverine, we quit, and go back to the way it was. This is the biggest misnomer in the nutrition and fitness world. We think that if we do exactly what Hugh did, we will look like Hugh. There is a big misfortune of knowing that our bodies are different, we are in different lifestyle situations, and Hugh has been at it for 12 years, when we go after it for 6 months. Then we get locked in these “get ripped fast” schemes or “have abs in 30 days” ideas. There is a problem here. Hard work and consistency are taken out of the picture. The bodybuilding diet and style of going forward with a show isn’t for everyone. And it doesn’t have to be. I decided that it needed to be for me. If I didn’t take the steps to getting a trainer, getting on a strict diet, and moving forward with making the goal of being on the stage, I was going to stop or not take it seriously. Even though I had gone into the field of exercise science in college and wanted to do personal training. I studied and learned as much as I could, but, honestly, I fell into this same marketing trap. I was using the creatine. I was doing Hugh’s workouts. I started intermittent fasting. And I still didn’t look like Wolverine. I went through a rough bout of depression and, due to this, I put on more weight than I wanted to. As I went through this, I decided I needed to make the change. Even though I had parts of the education, I hired a trainer. All the things that I thought I knew about supplementation, nutrition and working out… I was wrong. I have changed so much in the last few months, all due to taking the steps of getting a trainer and making this goal. Part of this goal, though, was making sure that I got my nutrition locked in. Especially getting close to the show. I am just under three weeks away from stepping on stage to doing my first ever bodybuilding show. With this, comes a lot of ups and a lot more downs. The things that I have started to crave can be ridiculous. I never thought that something as simple as Cap’n Crunch Berries is what I wanted so badly! Or that my gluten free cereal with vegan protein poured on it was a huge treat for me! Now, a part of this journey, is not the look of losing body fat and getting clean looking, but my mentality and positive mind set has been the main gem from the entire journey. The mental fortitude it takes to grab a slice of pepperoni pizza and hand it to your daughter when you cannot take one bite, is a huge trial of your mental gumption. Here in America we love to have social gatherings, and at those social gatherings, we love to have food as part of these social gatherings. I have had to say no to some of these social gatherings, and there are times that I have to abstain from sitting at the table with my family for family dinner. The sacrifice has been tough, but due to this toughness, is where the winning mentality comes from. 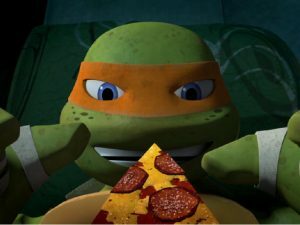 And you can bet that I am looking forward to that slice of pizza I am going to devour, just as though I was Michelangelo, the day after my show!